W.P. Griffin Inc. is pleased to announce that we are launching “Potato CuisineTM “ Microwaveable Mini Potatoes with selected spices from around the world. These quick and convenient trays only take 6 minutes in the microwave. “We have been working on this new product line for close to two years. 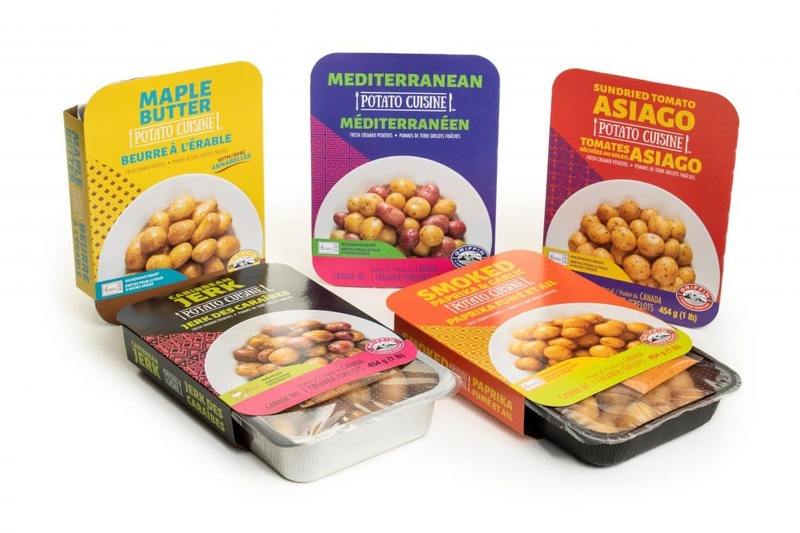 It is exciting to see this new and innovative product being supported by Sobeys, Foodland and select Co-op stores from Ontario and Newfoundland,” says John Griffin, president and general manager of W.P. Griffin Inc. The ‘Potato Cuisine Microwaveable Mini Potatoes come with one of five different spices. Including Maple Butter, Mediterranean, Smoked Paprika & Garlic, Sundried Tomato & Asiago and Caribbean Jerk.